Junior Golf Hub (JGH) and the New England PGA Junior Tour (NEPGA) are pleased to announce a new partnership aimed towards helping their members advance to the next level and play collegiate golf. The new partnership allows NEPGA members to access Junior Golf Hub’s Premium features for 30 days free and gain complete access to robust technology tools and education including The Hub’s Essential Guide to college golf recruiting and the ability to ‘Find and Follow’ U.S. college golf programs. In addition, Junior Golf Hub will introduce its current and prospective members to NEPGA events run throughout New England. Junior Golf Hub members can learn more about the NEPGA and their event schedule here. The New England PGA Junior Tour, founded in 1995, established a goal to help develop younger golfers as well as provide outstanding competitions on a local level. In addition, this program strives to foster sportsmanship and integrity among its members. The growth of the program has been phenomenal, and today their program consists of over 800 junior golfers and a schedule of over 100 junior tournaments per season. The New England PGA Junior Tour is governed by the New England Section of the PGA of America. 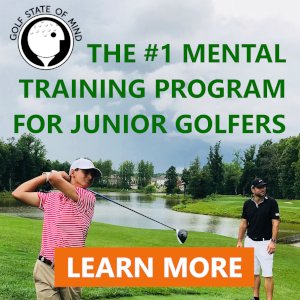 Junior Golf Hub (www.juniorgolfhub.com) is the premier online community for junior golfers, parents, and college coaches. The Hub provides the industry’s most advanced, all-in-one suite of technology tools and education to help players on the journey to college golf. Members can build a compelling Hub profile, become searchable by college coaches, ‘Find and Follow’ programs of interest, learn about the college golf recruiting process with The Hub’s Essential Guide, and access The Hub’s Tournament Suite, which includes a Tournament Finder, Custom Calendar and auto-loaded tournament results. Join for free and begin your journey today!